How financial approach of the past to the present approach to the culinary business will continue to change. How choosing the foods to create your culinary menu will affect food costs. How balancing payroll and overhead are imperative to financial culinary success. How to remain in the market, implement new law requirements, and adjust to minimum wage raises. Annual restaurant sales are going strong, just under $800 billion last year. If you’re considering or already running a culinary business it’s time to make sure you’re prepared for success. Attend this workshop and match your passion about food and with an understanding of how to run an industry-compliant business. When it comes to the culinary world great food is essential but reputation is crucial. Instructor: Human resource specialist Lisa McCormack of Affogato Consulting has worked with various companies in development of HR programs and is an advisor with West Business Development Center. Understanding the importance of implementing a strong foundation is key to operating a safe and legal environment. Instructor: Julia Siderakis has owned and operated culinary establishments for 35 years. Recently retired from restaurant ownership after 27 years, Julia now has joined the West Business Development Center team as restaurant advisor. She is an instructor with Mendocino Community College in the Culinary Arts Management Program and the Business Information Worker Program covering all aspects of customer relations and management. Do you have a passion that you want to turn into profit? Join the 3.9 million other small businesses in California that are turning dreams into reality. This engaging workshop provides you with guidance, and a overview of elements to consider when starting and owning a business. This is the perfect starting point to build the knowledge you need to succeed, so sign up to get started today. You have seen those entrepreneurs succeed in following their passions. Now it’s time to join them. To become a West Business Development Center Client, click Get Started, and an adviser will contact you to schedule a meeting. 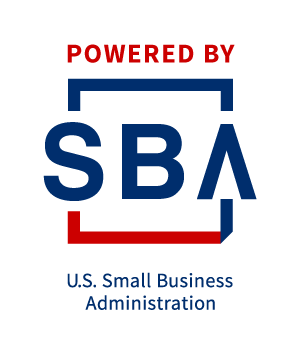 Instructor Stephen “SteveO” O’Mara has been helping folks start and grow their businesses since 1995. Working in Mendocino, Sonoma, Lake and Sacramento Counties, SteveO has advised entrepreneurs from all over the world. A business advisor, a professor and an investor, SteveO says, “Business startup is simple. I explain it simply and share the lessons taught me by entrepreneurs like you." *Please note: We ask all workshop attendees arrive 10-15 minutes early to class for sign in and networking. Class starts promptly at 6 pm. Workshop Instructor: Nicholas Petti is a well-known restaurateur in Fort Bragg,CA and the head of instruction of Mendocino Community College’s Culinary Arts Management Program. He is a leader in the culinary community winning acclaims and awards for his crab cakes every year in the Mendocino Crab and Wine Days, and countless community “Farm to Table” fundraisers. As a culinary arts instructor he introduces his students to traditional foods from around the world while introducing the most modern techniques and artfully created approaches. Mendocino Community College was the fortunate educational institution to have him lead their program, and we are pleased to welcome him to our West Business Development Center culinary workshop series. You have seen those entrepreneurs succeed in following their passions. Now it’s time to join them. To become a West Business Development Center Client go to Get Started, and an adviser will contact you to schedule a meeting. As the internet continues to become the main tool for trip planning and purchases, the importance in hospitality of a strong website and web presence continues to grow. Yet many hospitality websites are outdated, cumbersome, or disconnected from the property they represent. It is more critical than ever to create a seamless experience for virtual visitors – both on traditional desktops/laptops and on mobile devices – and to ensure you are putting your best foot forward. The Mendocino Women’s Business Center at West Business Development Center is pleased to announce the January hosting of the monthly empowerment gathering at a woman owned business located in Ukiah on March 22, 2019! Join us at Slam Dunk Pizza—where Stephanie Dunken, owner and a successful West Business Development Center client, will be hosting the Mendocino Women's Business Center's January "Women Mendopreneurs Empowerment Night" Join us to to connect, collaborate, learn, make new friends, and gratefully enjoy the bounty of local Mendo food and beverages. Stephanie Dunken, owner of Slam Dunk Pizza in Ukiah, is a local businesswoman and experienced business owner with a demonstrated background in the food and beverage industry. She is highed skilled in customer service, sales, management, strategic and event planning and management. history of working in the food & beverages industry. A strong woman entrepreneur, she graduated from Mendocino College and is a passionate business owner in our local community. Have you ever thought of taking that delicious family recipe and turning it into a business? Already own a food manufacturing business and want to expand? Have a fantastic niche food idea you know will make those taste buds water? Well, for food entrepreneurs, there’s no better time to enter the market than right now, and the Mendocino County West Business Development Center can show you the way! Whatever your motivation, join us for this Kitchen to Market business workshop and gain a competitive edge by learning the ups and downs, the ins and outs of the rapidly growing specialty food industry. This 3 hour workshop includes take-home packet with worksheets and resource guides. Make sure to sign up today before seats fill for this exciting workshop. Instructor: Anni Minuzzo a specialty food expert with over 30 years of experience in the food and beverage industry, 20 of which were spent owning a wholesale baking company. She has a broad network of professional associations and a long lens and hands-on expertise on this exciting industry's trending culture. Are you just holding onto your monthly bank statement as a financial report for your small business? Only using competitor prices to set your own? Storing receipts for your business costs in a box to be balanced later? Now it is the time to freshen your cost structure skills, by taking this workshop to get your business ahead of the game! Designed for those who have little or no business experience, this workshop will take you through the process of creating a cost and price structure that will allow your business to stay current with the marketplace. In this workshop you will be use Cost and Pricing tools to review a business which will give you hands-on experience. Teaching through example, you will return home confident with the principles of costs structures. When you understand these principles and put them into practice it will set your business in motion so that it is financially successful. At the workshop, instructor Steve Lamb will develop the cost and price structure of a fictional business. Watch and following along as you build the cost and price structure for your business. At the end of the workshop, you will have a complete cost and price structure you can use going forward to grow your business. Sign up today, as there is limited available seating for this informative workshop! After signing up for this workshop you will receive via email with an Excel Workbook for you to enter some basic information about your business. Bring your laptop and the updated Excel Workbook to the workshop. Step 1 – sign up for the workshop and we will email you the Cost & Price Excel Workbook. Step 2 – enter some basic expense and revenue information before the workshop. Step 3 – bring your laptop and the updated Excel Workbook to the workshop. The Mendocino Women’s Business Center at West Business Development Center is pleased to announce the February 2019 monthly empowerment gathering at a woman owned business located in Ukiah on Friday February 15th! Join us to connect, collaborate, learn, and gratefully enjoy the bounty of local Mendo food and beverages. Join us on Friday February 15th for the monthly Women's "Mendopreneurs" Empowerment Night at Ukiah Valley Networking Agency. Come and meet the awesome and amazing Maureen "Mo" Mulheren, local successful Independent Insurance Agent, Ukiah City Council Member, and the Executive Director of Ukiah Valley Networking Agency. as well as other great local entrepreneurs and small business owners in our community. Join us and enjoy! Maureen "Mo" Mulheren ~ An amazing local woman in business success story, Maureen "Mo" Mulheren is a Ukiah native, the mother of two wonderful daughters, a business owner and a self-employed Independent Insurance Agent. In November 2018 she was re-elected to the Ukiah City Council. "the City Council needs people connected to the community....I am the council member that knows how the community at large feels about the issues and has the back bone to voice their opinion and not just be a wall flower."